For independence and peace of mind no matter where you are. Medical Guardian's Active Guardian plan offers the fastest response time to emergency calls and the longest battery life, plus helpful and knowledgeable customer support. Starting at $49.95 per month. 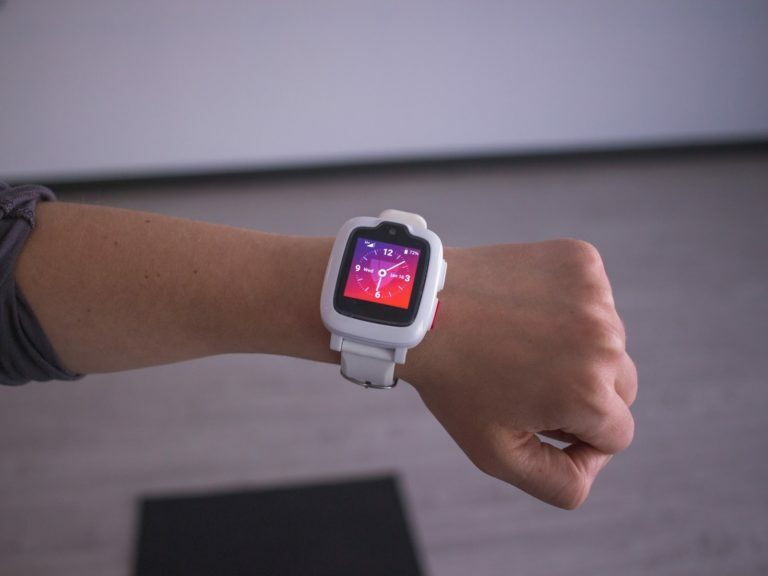 In addition to standard pager-style devices, MobileHelp offers a smartwatch that doubles as a medical alert device. Regular plans start at $19.95/month. Smartwatch plans start at $24.95 + cost of watch. With friendly customer support, long battery life, and plans starting at $19.95 per month, Bay Alarm is our favorite budget-friendly option. Medical alert systems can help loved ones feel more secure, and with recent advances in tech, users can stay protected on-the-go with GPS- and wireless-enabled mobile devices. 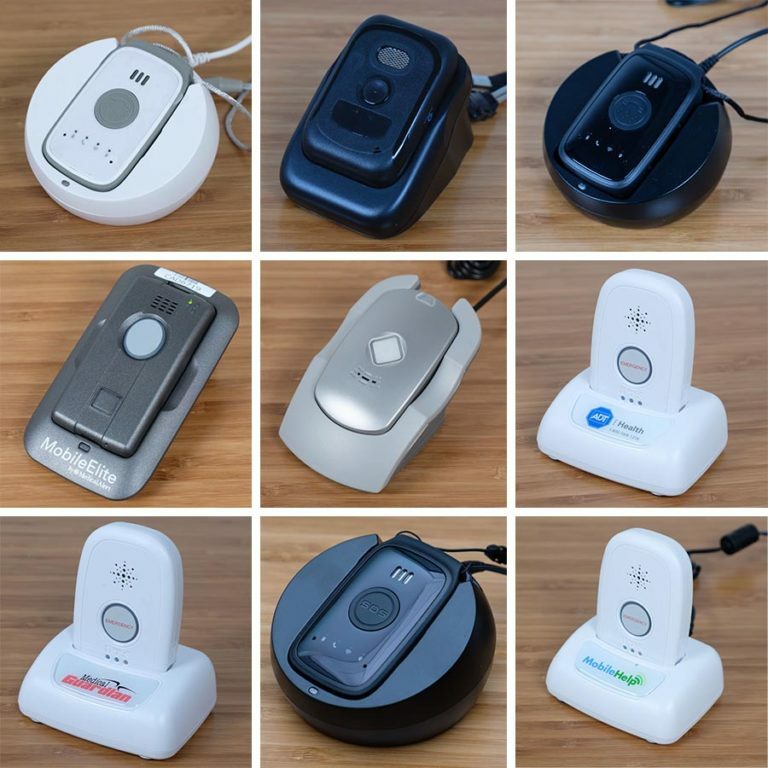 We hand-tested 9 different devices for several weeks (and made over 70 test calls) to find the best mobile medical alert system: one with straightforward setup, intuitive controls, and stellar service. Mobile medical alert systems perform the same function as the plug-in, answering-machine-sized units we've reviewed in the past: push a button and get help. But mobile devices are also small enough to take with you and include location-tracking technology, making them the best type of protection for people with active lifestyles. We compiled a list of all the nationwide providers of mobile medical alert systems that we could find. A well-designed website can be the difference between a pleasant experience and an extended headache. The best companies had a hassle-free checkout process and sent packages to our door within a few days. 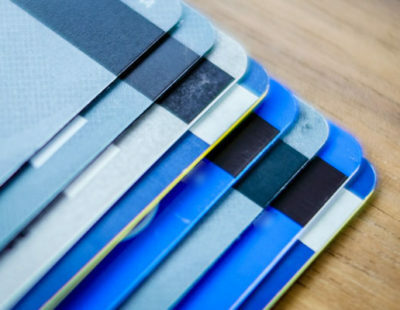 Providers who had hidden fees that only popped up at checkout, or those whose equipment was delayed due to lost or incorrect orders were docked points. The very worst companies had us waiting in limbo for weeks while our shipments were lost, cancelled, and misdelivered. We placed at least five test calls to the monitoring center of our finalists, timing how long it took us to receive a response. Medical Guardian’s Active Guardian took the lead with a speedy 24-second response. Other finalists were a lot slower, averaging about 1 minute and 20 seconds per call. All of our finalists operate call centers certified by an independent, third-party group — either the Central Station Alarm Association (CSAA) or Underwriter Labs (UL) — ensuring that reps are trained in how to respond to emergency situations. We had a uniformly positive experience with kind, professional operators. We called each customer hotline with questions about cancellation, setup, and the fine print in our contracts. Standout companies had reps who picked up quickly and provided comprehensive, cheerful answers to our questions. Others put us on hold, or became noticeably cooler when we asked about how to cancel our service. Most finalists fell somewhere in the middle, but our top picks stood out thanks to consistently helpful, prompt service. Although the Freedom Guardian looks like an average smartwatch, its simple interface makes finding exactly what you need a breeze — essential in an emergency. You won’t find any fitness-tracking functions, but you can use the display touchscreen to check the weather, time, calendar, power on or off, and signal an alert — which can be done by either holding the red button on the side or pressing the “help” screen for three seconds. If a caregiver or family member sends a message to the watch through the corresponding mobile app or web portal, the watch will read the message out loud, and depending on the message, you can tap yes or no, OK, or speak directly into the watch to respond. There isn’t much legwork involved in getting this watch up and running. The Freedom Guardian comes with a USB adapter and cable with a magnetic end that attaches to the watch for charging, and after it’s charged, you’re ready to use it. The watch typically takes two hours to fully charge and lasts for about 48 hours. Every time we called customer service to ask questions about the device, mobile app, or web portal, we were met with cheerful, detailed responses that left us feeling as though we were in good hands. In fact, when we accidentally triggered an SOS and attempted to cancel, we contacted customer service immediately after and were reassured that EMS had not been dispatched to our location. The Freedom Guardian comes with a corresponding mobile app and web portal that shares your location with family members and caregivers, and allows you to send messages and even schedule reminders for events or to take medications. Both digital features also show when alerts were signaled and details on the SOS’s status, leaving more time for action and less for worry. We placed five test calls to see how quickly we could reach the response center. It only took us 28 seconds to reach someone on our first try, however subsequent calls took a little longer, leading to an average of 73 seconds. Every time we connected, though, there was no distracting feedback or extra beeping, and the representatives repeatedly made sure we were just placing a test call. Although it took longer to reach someone in this testing scenario, we’re still confident in Medical Guardian’s rapid response times. In fact, when we tested the Active Guardian, we were able to reach a representative in as fast as 24 seconds. In the event you were to fall and not be able to press the help screen or SOS button, the Freedom Guardian watch will not place emergency calls for you. Medical Guardian recommends fall-detection for those with certain health conditions that could be debilitating in a fall. If you’d like having the added security, the company does have products included in its Home Guardian, Active Guardian, Classic Guardian, and Family Guardian that provide fall detection. Medical Guardian calls this device “splash resistant,” meaning it’s not recommended to use your Freedom Guardian anywhere near water. For showering and being near water, we suggest sticking with a completely waterproof device for protection. At $44.95 per month for unlimited access to the call center and a $99 one-time equipment cost — the Freedom Guardian is pricier than some of our other medical alert picks. But if you can fit it into your budget, you’re essentially paying for access to help anytime, anywhere. Regular plans starting at $19.95 per month. Smartwatch plans starting at $24.95 + cost of watch. 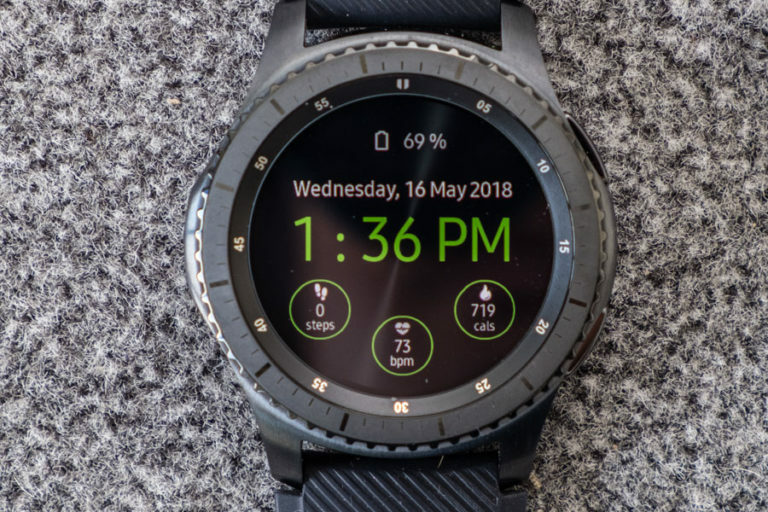 In addition to more typical options like wrist buttons and pendants, MobileHelp stands out for its medical alert smartwatch, a modified Samsung Gear S, which the company launched in early 2018. The device looks just like a regular watch, but it's equipped with a touchscreen that allows you to place emergency calls. Additional widgets can monitor heart rate, blood pressure, steps taken, and calories burned. The watch is currently available for pre-order, with plans starting at $24.95 per month (though you'll have to purchase the watch itself for an additional $349.95). MobileHelp’s average response time was just 46.8 seconds, coming in third, behind Medical Guardian and ADT. Its consistently speed performance means you can trust that you'll be able to reach help quickly if you need it. If you’re not 100% committed to the idea of a medical alert system, MobileHelp does offer a 30-day free trial to help you make up your mind. You’ll need to pay regular costs upfront, but if you return the equipment within 30 days, you’ll receive a full refund. Returning the equipment anytime after 30 days means you won’t be able to get all of your money back, but you can negotiate a pro-rated refund. Our other top picks offer price locks, which ensure that your monthly bill won't go up — you'll always pay what you signed up for. But MobileHelp’s contract doesn’t specify whether or not you’re subject to pricing changes. When we spoke to customer service about this unclear policy in its terms and conditions, we were told, in a very roundabout way, that yes, MobileHelp can increase prices. However, since there is no contract involved, you’re free to cancel your service at any point. And if you want to ensure your prices won’t change, customer service suggested looking into MobileHelp Connect Premium, which locks in your rate and helps cover certain equipment repairs and replacements. Bay Alarm Medical offers quality service at a lower price than competitors. Plans start at $19.95 per month (for in-home devices, specifically), versus the $38-$40 starting price offered by other finalists for similar equipment. Its Mobile GPS Help Button starts at $29.95 per month — but unlike our smartwatch-like contenders, this device comes without an extra equipment fee. Competitive pricing aside, Bay Alarm Medical was a consistently pleasant company to do business with during testing. 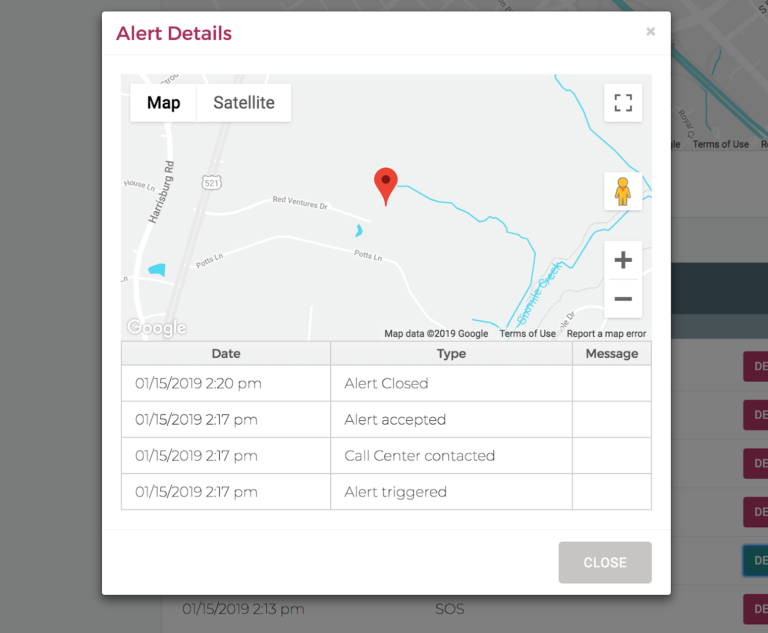 Bay Alarm Medical’s Mobile GPS medical alert system offers a GPS Tracking Portal that allows family members and caregivers to view your location from a smartphone or computer. Although we haven’t tested this feature, we appreciate Bay Alarm Medical’s strides in making the device useful for caregivers. Bay Alarm Medical’s mobile device charges in 3 hours and has a battery life of 72 hours. This sets it apart from the 24- and 48-hour battery lives offered by most of our finalists. Battery performance was second only to Medical Guardian's much more expensive Active Guardian (which has a 5-day battery life). Bay Alarm's device took time to figure out. The power indicator turns off when the device is off, and when the charge is between 30%-100% — which left us confused about whether our device was at full charge, or even on. 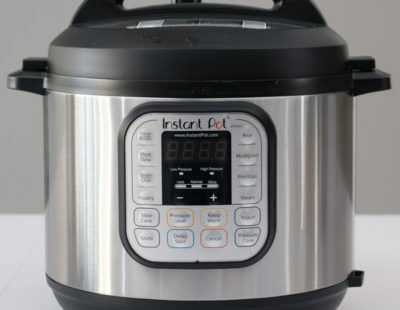 The user guide also lists additional device statuses according to how quickly the lights on the unit are blinking, but we had trouble telling a two-second blink from a three-second blink. Once you've become comfortable with your device, this may be less of an issue. But be prepared to spend some time familiarizing yourself with your equipment. Mobile devices are a great choice for on-the-go support, since they're small enough to fit in a pocket or purse, are battery-powered, and come with location tracking. But they're also more expensive than traditional at-home monitoring systems. If you spend more time at home, you may be happier with an at-home monitoring device. These answering-machine-sized units plug into a wall socket and are designed to offer protection around the house and yard. You can read our review of at-home medical alert systems to learn more. When you order a medical alert device, your monthly payment allows you to continue renting the equipment. Upon cancellation, providers will ask that you return the device in working condition. Failing to do this can result in sizeable fees. Acadian On Call, for example, values its units at $250. The one exception to this rule is MobileHelp's smartwatch: rather than renting, you purchase the device outright for $395.95. How long can my mobile device go without charging? Most mobile medical alert devices have to be fully charged before initial setup. This typically takes between 2-4 hours and can be an unexpected slowdown. Plan accordingly! Once your device is fully charged, the battery will last for about 24-72 hours on average (with the exception of Medical Guardian’s Active device, which has a 5-day battery life). Where can I use my mobile device? Because mobile medical alert devices rely on cellular signals to work — usually AT&T or T-Mobile — they’ll be fine wherever you’re able to use your cellphone. But be alert for rural areas with spotty signal, or any extremely dense urban areas where you have trouble making calls. These are often the same areas that will offer spotty service for a medical alert device. 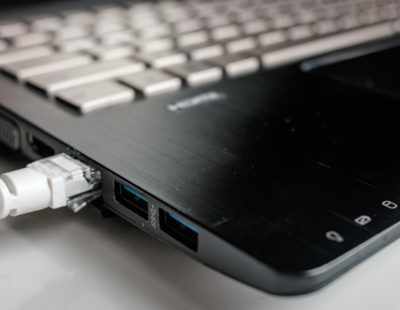 We’d suggest having a backup plan in place for these locations, whether communicating plans to a family member ahead of time, or just testing the device upon arrival to see if it works.